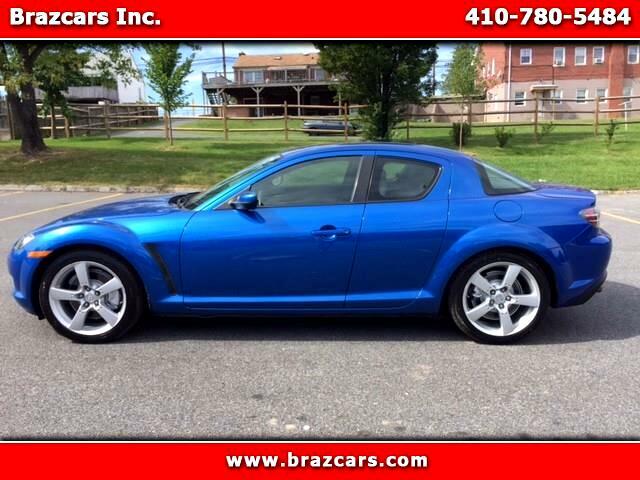 Used 2004 Mazda RX-8 Manual for Sale in Rosedale MD 21237 Brazcars Inc. The Mazda RX-8 is a sports car manufactured by the Japanese automaker Mazda between 2002 and 2012. It was first shown in 2001 at the North American International Auto Show. It is the successor to the RX-7 and, like its predecessors in the RX range, it is powered by a Wankel engine. The RX-8 began North American sales in the 2003 model year.